When Jesse Winchester succumbed to cancer earlier this year at the age of 69, reports indicated that the Southern U.S. singer-songwriter — who lived in Canada for many years to avoid being drafted for the Vietnam War — had a new album completed. That final record, called A Reasonable Amount of Trouble, will be posthumously released on September 16 through Appleseed Recordings/eOne Music Canada. Produced by Mac McAnally, it was written and recorded while Winchester's cancer was in remission. A press release notes that the collection "is tinged with his awareness of mortality but not a drop of self-pity." It features appearances from Jerry Douglas on lap steel and Jim Horn on sax. A Reasonable Amount of Trouble gets its name from a quote from Dashiell Hammett's 1930 novel, The Maltese Falcon. It features nine original songs, plus covers of the oldies "Rhythm of the Rain" (a 1962 by the Cascades), "Devil or Angel" (recorded by the Clovers in 1955) and "Whispering Bells" (by the Del-Vikings from 1957). 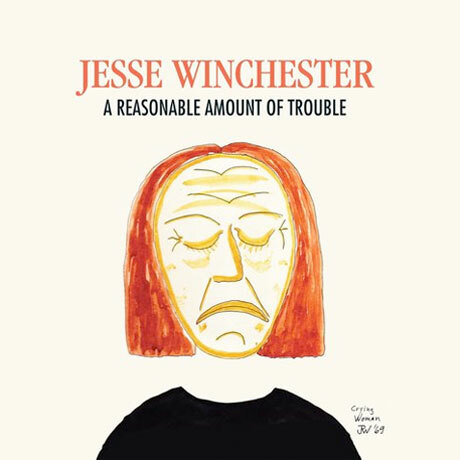 Appleseed boss Jim Musselman said at the time of Winchester's death, "Jesse was a beautiful human being and one of the most wonderful artists that I have had the honour to work with. We had just finished recording a new CD with him called A Reasonable Amount of Trouble and he was very excited about the songs on the album. Jesse recorded a new song about life called 'All That We Have Is Now' about living life fully, and also a beautiful song about facing death titled 'Just So Much' that I cannot listen to without getting tears in my eyes. He showed such courage facing death and was strong throughout. We all can learn a lot from him in many ways... I am heartbroken over the loss of this remarkable musician." You can listen to the opening track "All That We Have Is Now" via Wall Street Journal below the album's tracklist.